This entry level goggle conforms to the European EN166 standard and uses optical quality 1 lenses making them ideal for use over long periods. They make an ideal choice for schools and labs where goggles are to be used temporarily and returned. 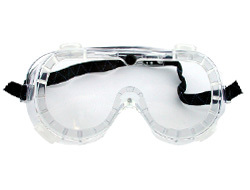 These goggles are B rated for strength and resistance to liquid splashes with special indirect vents which many health and safety officers and labs will require. 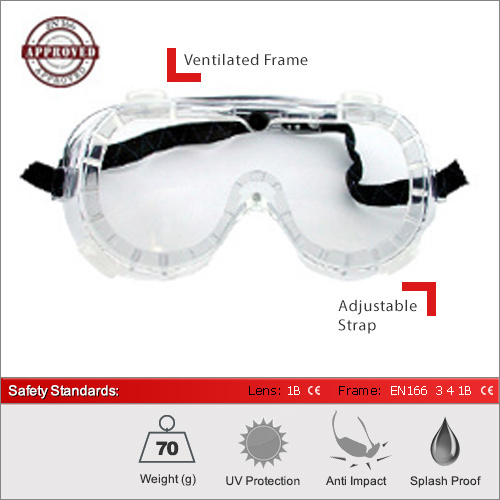 Here we have summarised the main safety standards for the frame and each lens type. After each are their specific safety markings (i.e. 2C-1.2 1B T). To interpret these and understand the full specifications of each pair, please see our dedicated Standards Advice Section.